A magnificent biography of one of the great, unknown men of the 20th century. Josef Pilsudski was a legitimate hero from the early 1900s until his death in 1935. He fought the Russians and Germans in the early 1900s, was instrumental in creating the reformed Polish state in 1919, and ran the Polish government from 1926-35. He became a dictator when the Polish experiment with parliamentary democracy proved as ineffective as the Weimar Republic in neighboring Germany; Hetherington pulls no punches in describing how Pilsudski dealt with his opponents; he arrested some and later released them, executing none. The finest part of the book for me was the description of how Pilsudski recognized the dangers of Hitler and tried, unlike the rest of Europe, to do something to stop him. He stood up to Hitler over the issue of Danzig, and Hitler blinked. Pilsudski believed that a preemptive strike against Germany in 1933 could prevent what he clearly saw as Hitler’s plans to rearm and attack. 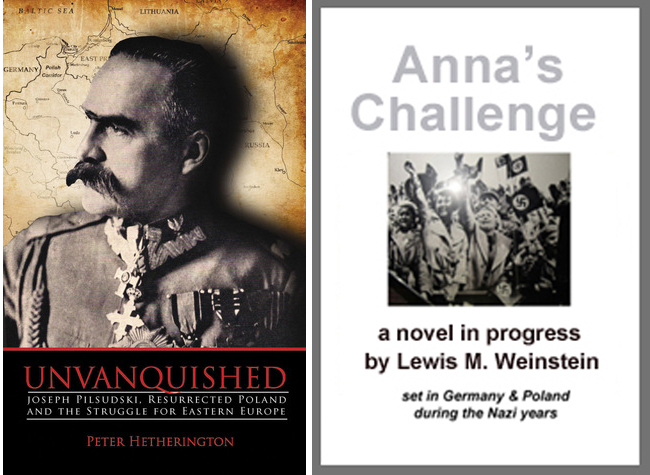 Pilsudski was thwarted in his plan by the timidity of the French and the appeasement policy of the British. Many of the events of 1932-35 will be described in my new novel, involving both my Polish and German characters. I think these events are unknown to most readers and will provide fascinating perspective on those years. … Pilsudski’s view: France & Britain have different objectives. France wants to contain Germany and expand its own land and power in Europe. Britain wants peace and is willing to appease Germany to gain it. This entry was posted on December 4, 2014 at 1:39 pm	and is filed under ** RESEARCH for A FLOOD OF EVIL. You can follow any responses to this entry through the RSS 2.0 feed. You can skip to the end and leave a response. Pinging is currently not allowed.